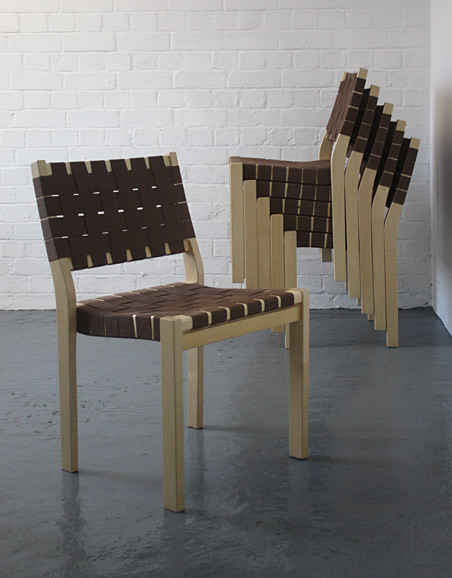 A set of six model 611 chairs designed in 1929 by Alvar Aalto. 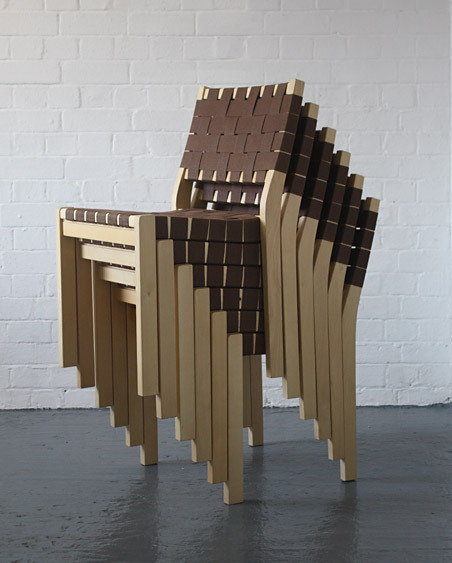 The 611 chair was one of Aalto's first designs. 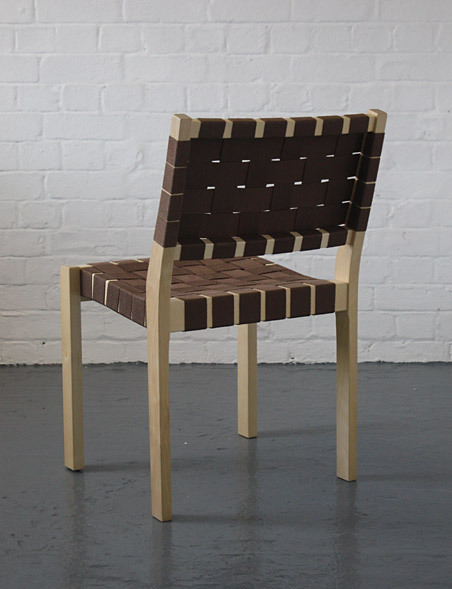 These examples are recent productions from Artek in mint, unusued condition. 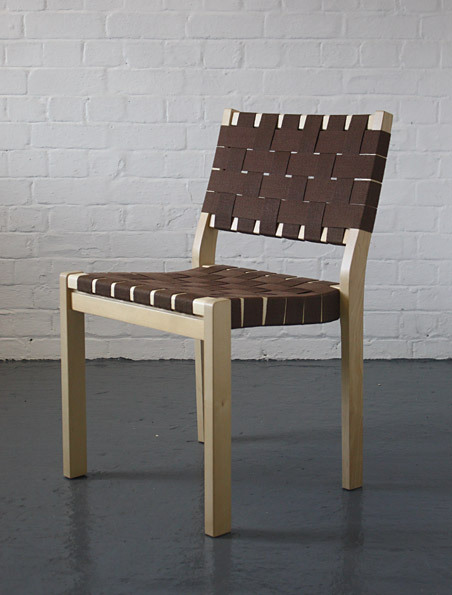 The current retail price for a set of six from Artek is £2750. 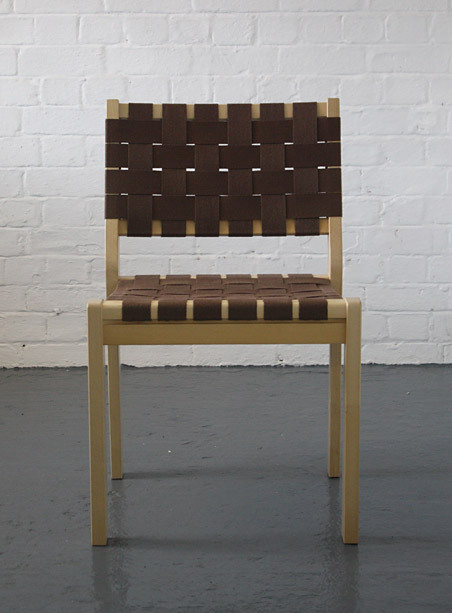 Lacquered birch frames with brown webbing. 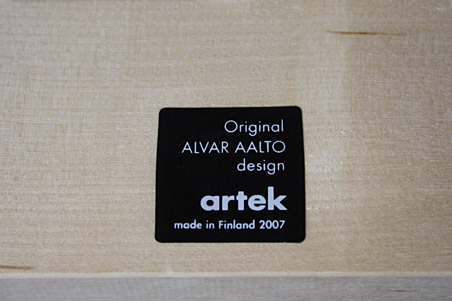 Artek labels to the underside of the frame. Dimensions: 48.5CM WIDE X 49CM DEEP X 80CM HIGH X 45CM SEAT HEIGHT.